Our in-house laboratory is fully equipped to provide tests and results for most problems. Skin scrapings, fungal tests, fecals, urinalysis, heartworm testing, feline leukemia/feline aids testing, complete blood cell counts, and chemistry analyses to check organ function, thyroid tesing and many other tests can be addressed in the lab. 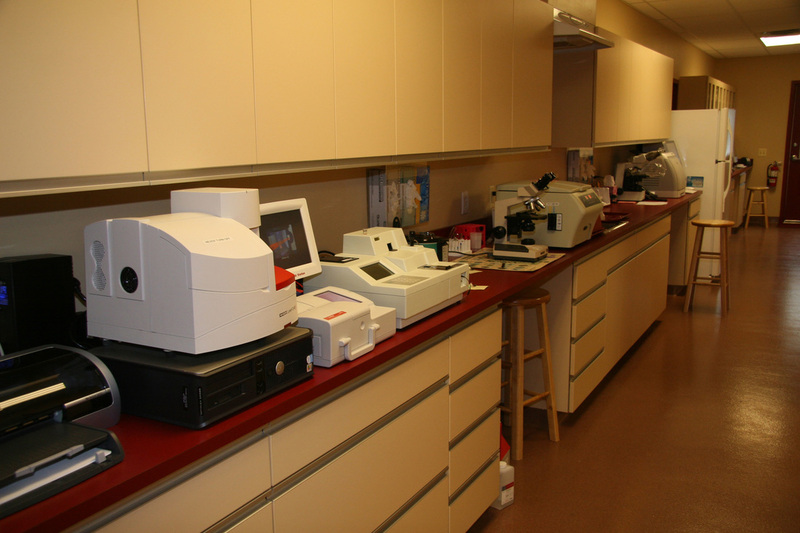 Microscopes, centrifuges, analyzers are some of the equipment used to run accurate and prompt tests. Any tests that cannot be run “in-house” can be sent to outside laboratories for further analysis.